Being in a relationship is hard work. Not only do you have to be there for each other through thick and thin, but you also have to compete with all the social media couples who are living out their #couplesgoals. Now, it’s important to know where your relationship lies on the relationship spectrum. Too low, and you risk sharing passive-aggressive memes about your failing relationship on every form of social media. Too high, and you might find yourself with the dreaded shared profile. These people all set some kind of bar when it comes to their relationship. Whether it’s being married by Ronald McDonald or making out with your doppelganger, it’s technically inspiring. 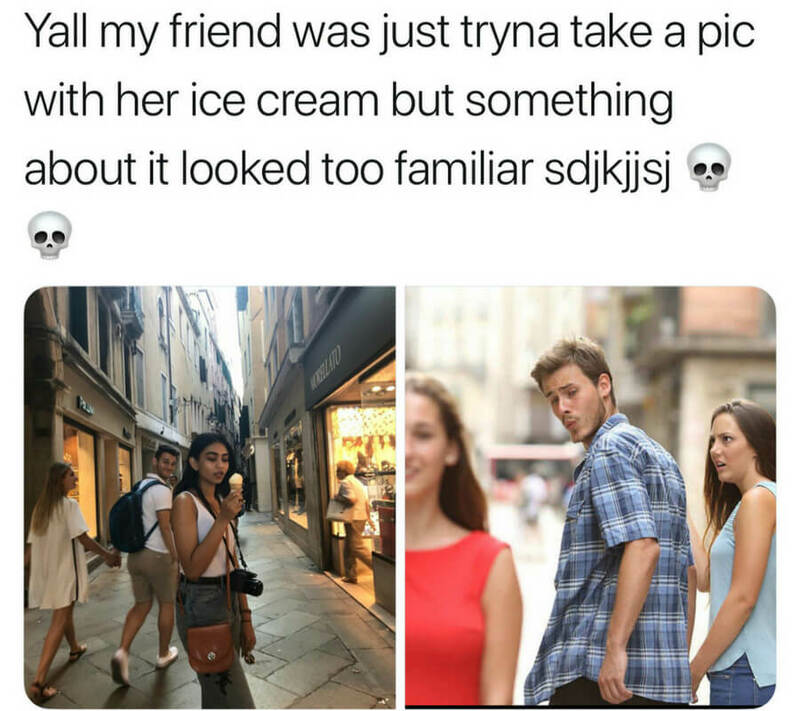 Ice cream is an important ingredient in any good relationship. It’s there to comfort us when we’re sad, celebrate with us during the good times, and provide the sugar rush we need during a 12-hour murder mystery marathon. However, it can also doom even the best relationships. All it takes is one glance to go from 0-100 real quick. This guy has a problem that no ice cream cone can solve. 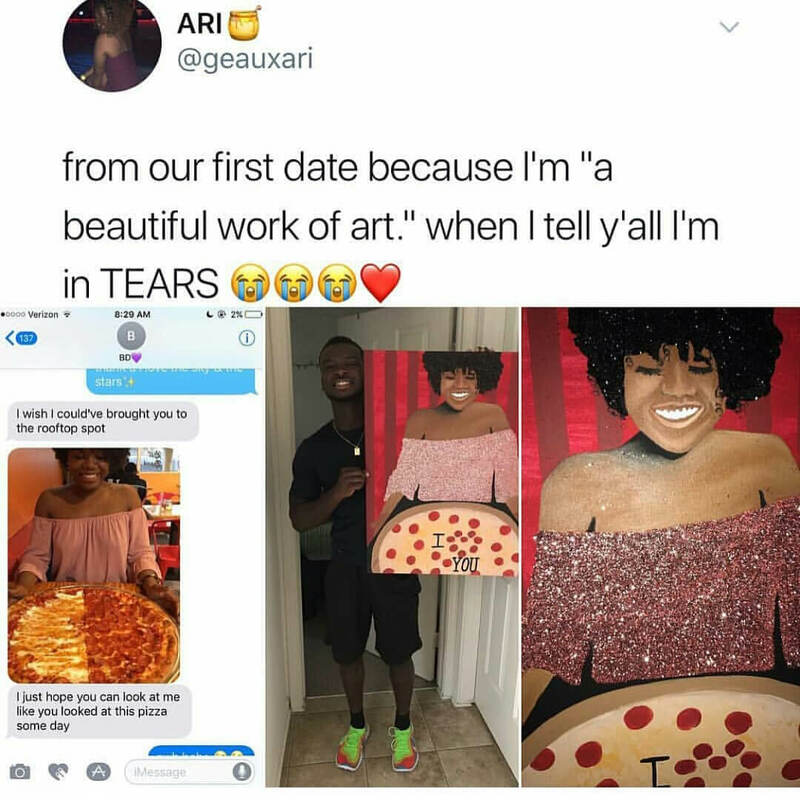 I’m not even the least bit artistic, so this is just never going to happen to me. My only hope to incorporate any kind of art into a relationship is to go to one of those wine and paint nights. Unfortunately, that will usually end with me being really good at wine, and still pretty terrible at painting. Also, who drives? That just sounds like a fight. I’ve got to say, this guy is handling things pretty well if his smile is anything to be trusted. However, this is a perfect example of why you don’t keep secrets in a relationship. 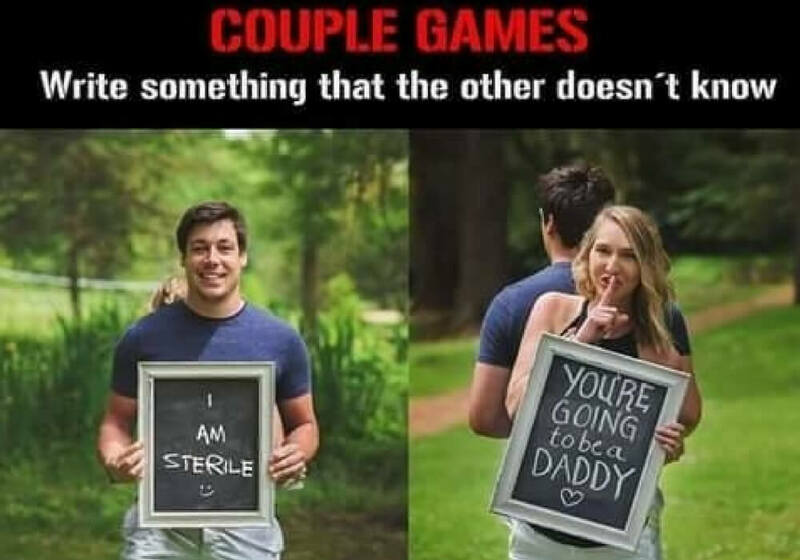 Communication is important, and these two have a lot to talk about before they even think about raising a child together. Coming up, one husband is on his own for the first time ever, so his wife isn’t taking any chances. 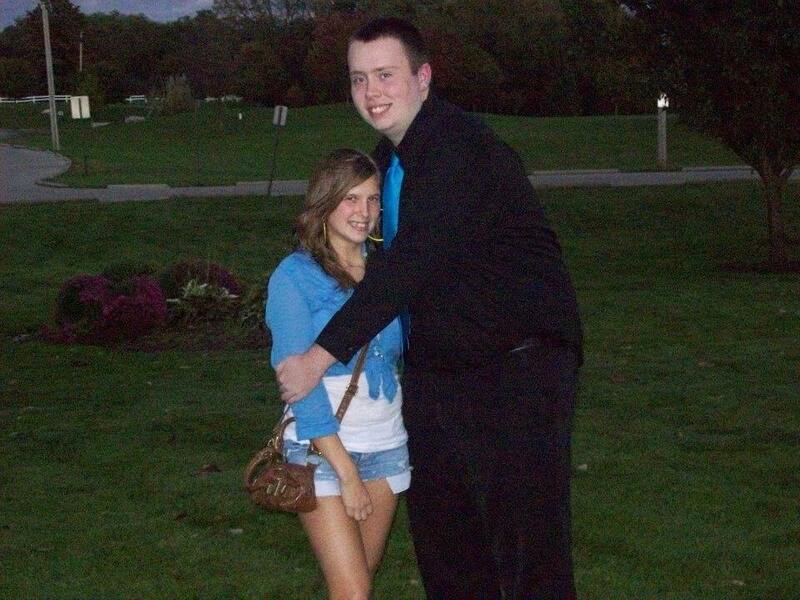 It makes absolutely no sense that all women want a man who is 6’7 when the average woman would barely come up to his belly button. This is what happens when neither one of you is reasonable enough to find someone that you’re truly compatible with. It’s nothing but awkward hugs and cutoff heads in any group photos. 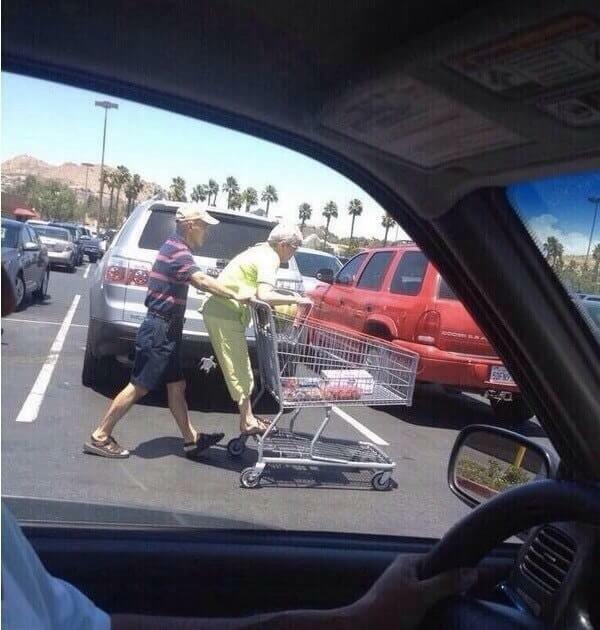 I don’t care who you are, this is downright adorable. Why wouldn’t you try and find someone who you can enjoy shopping with if you can? Men usually get bored of shopping in less than half an hour, but this couple can clearly go anywhere and everywhere with each other. What an inspiration. Honestly, Don’t All Men Need This? I’ll be the first to admit that I’m pretty much useless out on my own. 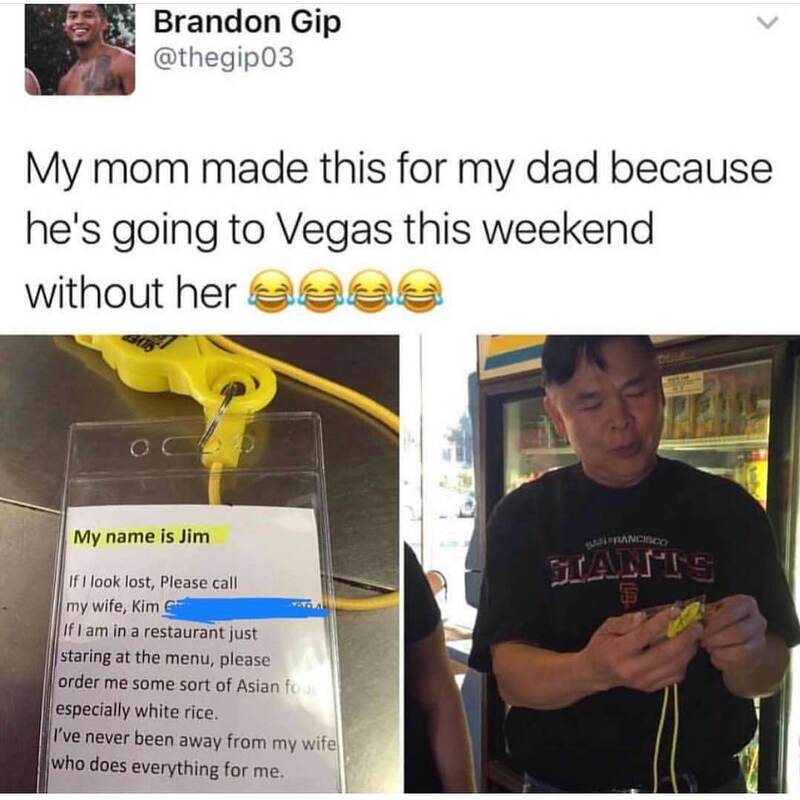 However, I have to admire this guy’s bravery for going out on his own, in Vegas no less, and trying to survive. His wife just had a feeling that he might need a safety valve in case things got away from him, and came up with the perfect remedy for any problems. If you’re the couple that likes to get weird out in public, you’ll definitely relate to the travelers coming up! The look on her face means everything. 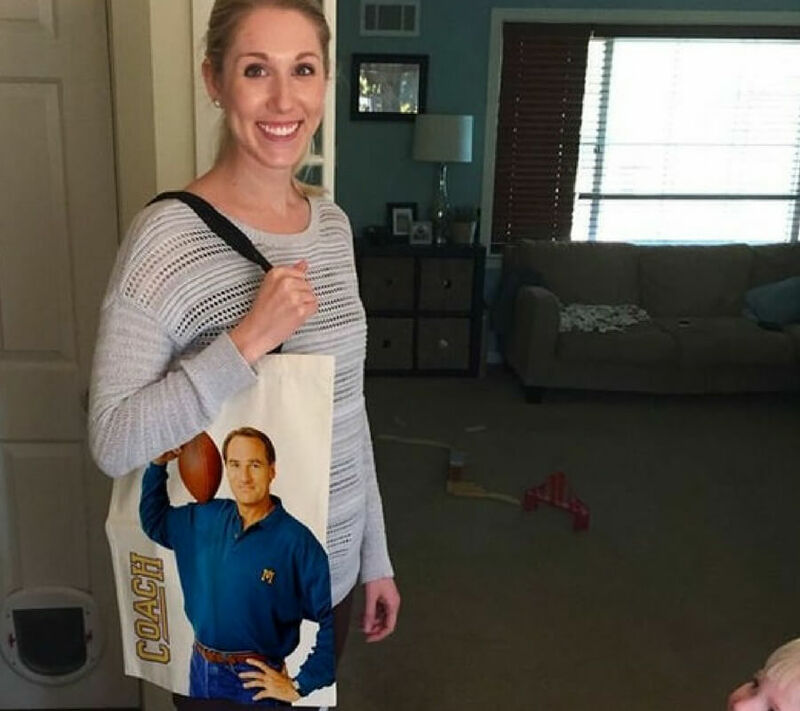 If you’re in a good relationship, she might actually believe you’re very funny and absolutely loves her new Coach bag. If your relationship is on the rocks, she might know that he’s taking this photo to put on social media as an explanation as to why he suddenly disappeared just after her birthday. It’s important to know the signs. It’s important to find someone that you can be comfortable with anywhere and everywhere. 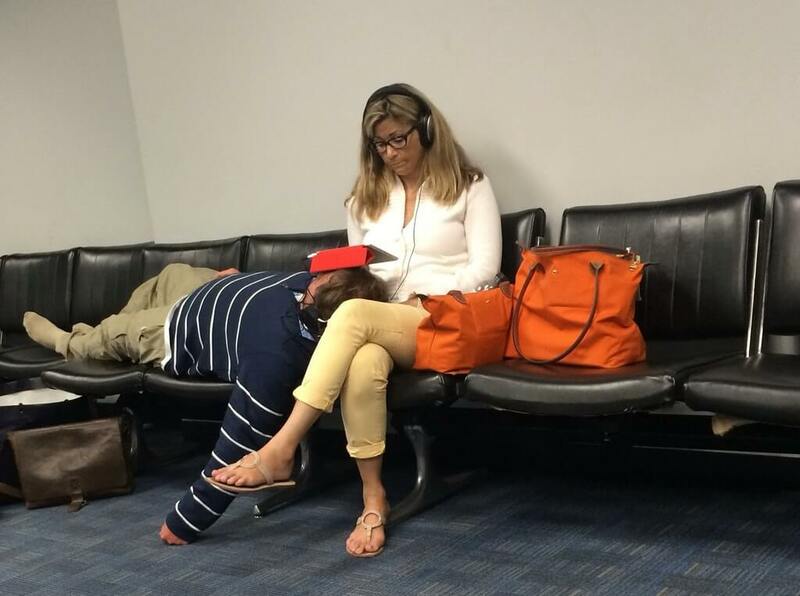 After a long layover, you might need a pillow, and a good partner is perfect for this. However, don’t expect them to just let you lay your head on them and sleep peacefully. You’re not a dog. They’re going to go on with their life, and any realistic partner has to know and appreciate that. When you’ve been a couple for a long time, you start to adopt each other’s mannerisms. Maybe you start talking like them, or you might adopt their same love of Carrot Top’s standup if things take a particularly dark turn. However, the most common thing will be that you start eating alike. If one goes vegan, you can’t expect the other to continue on with their meat-filled ways. And you’re DEFINITELY going to let everyone know about it. While you might start acting like each other, it’s not nearly as bad as the couple that looks identical that you’ll see in a bit. 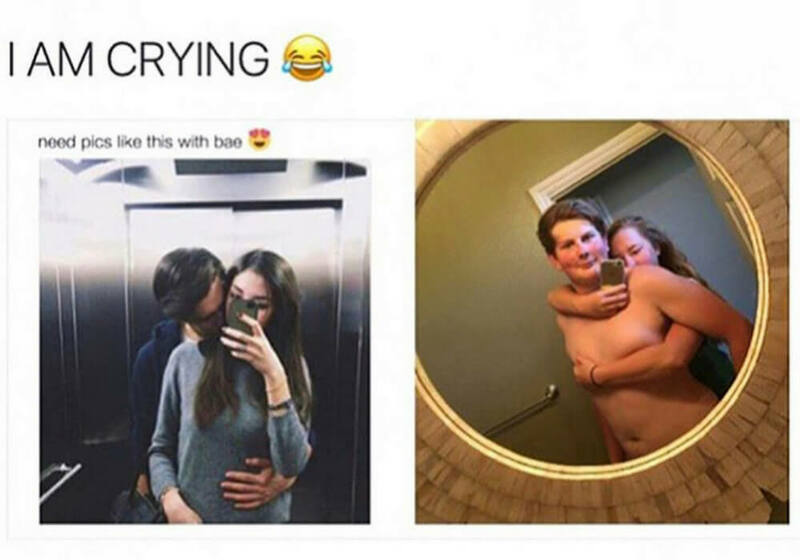 There are few things more cringe-worthy than the couple that shares their social media accounts. You can say goodbye to any form of independent thought — you guys are thinking for two now. So if you want to jump online and spew your hatred for your coworker who is constantly stealing your food, you’d better run it by your spouse first. You know that you’ve found the one if Seth Rogan and James Franco said so. These two were obviously meant to be, just like James and Seth were. They’re inseparable. 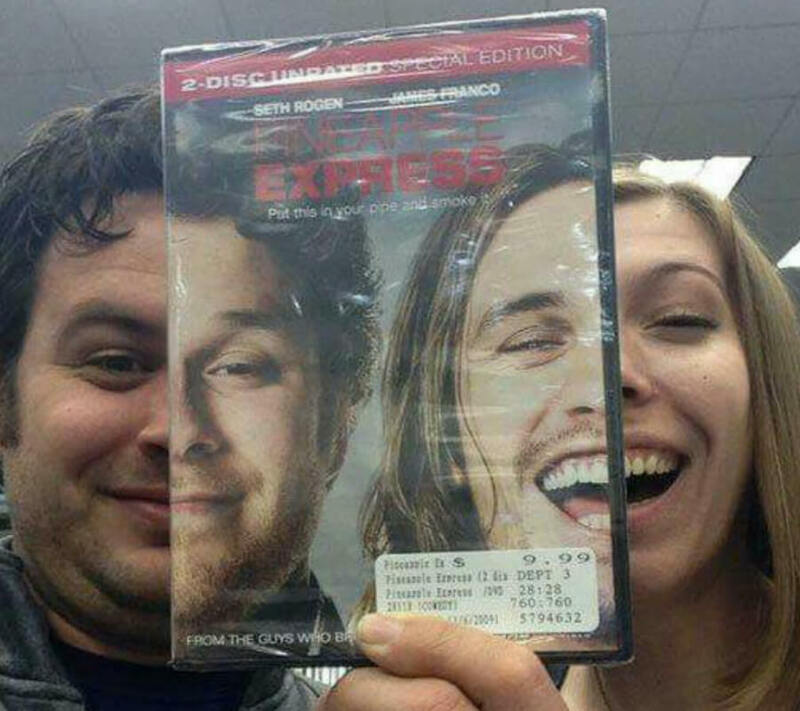 I think these two are ready to star in the Pineapple Express sequel. Honestly, how isn’t that a thing yet? Some couples become so close that they almost melt into each other. 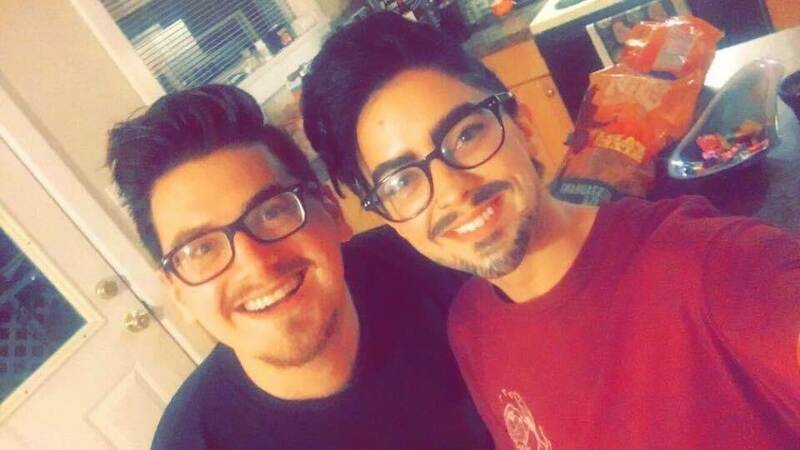 This couple decided to take things entirely too far when his girlfriend decided to show up to a party dressed like him — facial hair and all! 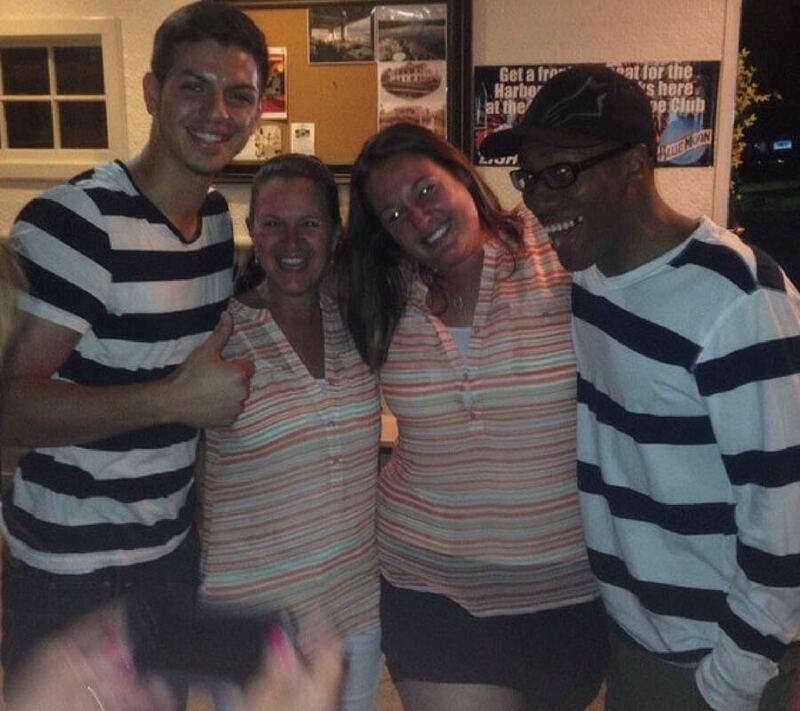 Dressing alike is one thing, but looking alike? Imagine having a makeout session with yourself? Ya, no thanks. Most people’s wedding vows say ’till death do us part, but one couple took things very literally. Ok, so we’ve talked about couples who look alike and dress alike, but imagine stumbling onto another couple who totally gets you guys as a couple? Well, that’s what happened here, and it’s safe to say that a couples vacation is on the horizon. If you find a couple that’s dressed exactly like you guys are, they probably get all of your weird little inside jokes too. Keep those people around. 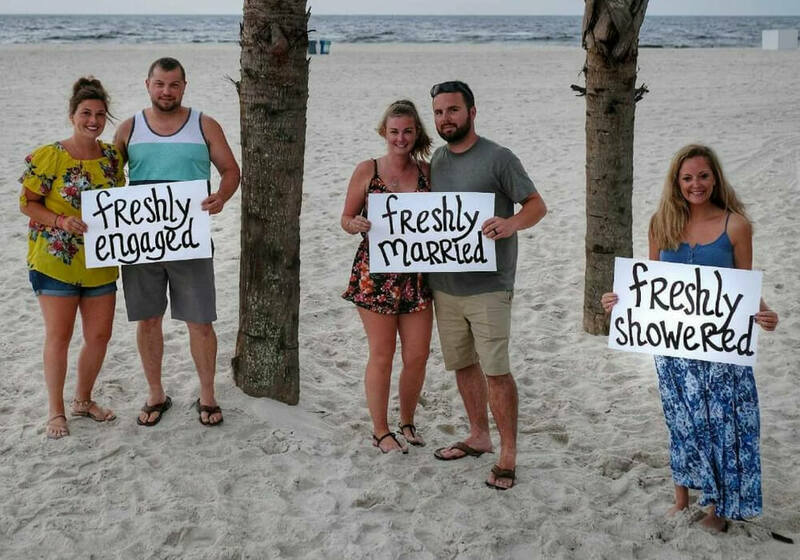 These couples can go one of two ways. Either this is totally legit and these two never get into any arguments, or they just put on this front out in public just to keep up appearances. 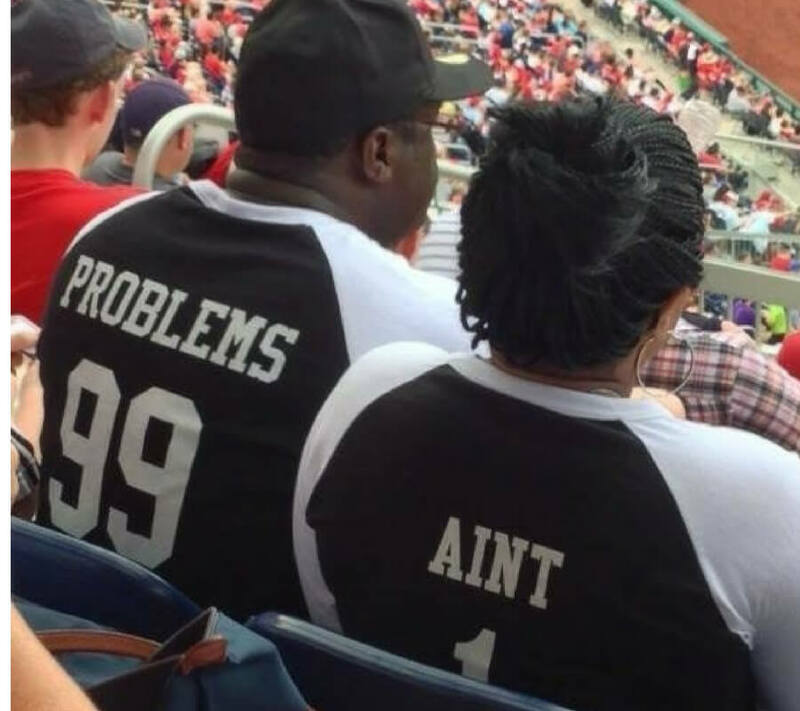 Whatever their reasoning, the worst thing a couple can do is get these couples jerseys. It’s just a cry for attention, any way you look at it. I think it’s sweet when couples get plots next to each other. I’m still not sold on the couple’s plot where you two share a headstone, but really, you can do whatever you want in the afterlife. 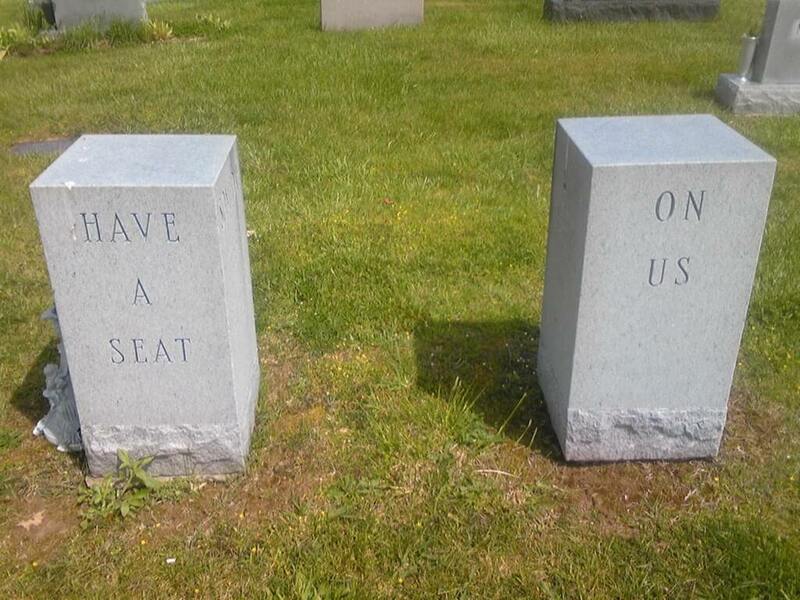 However, these people didn’t want people to mourn them once they passed, so they left a place for people to come over, have a seat, and share a laugh. I’d love to be this cute in death. What’s the one thing every couple forgets about on their wedding day? You’ll see soon. 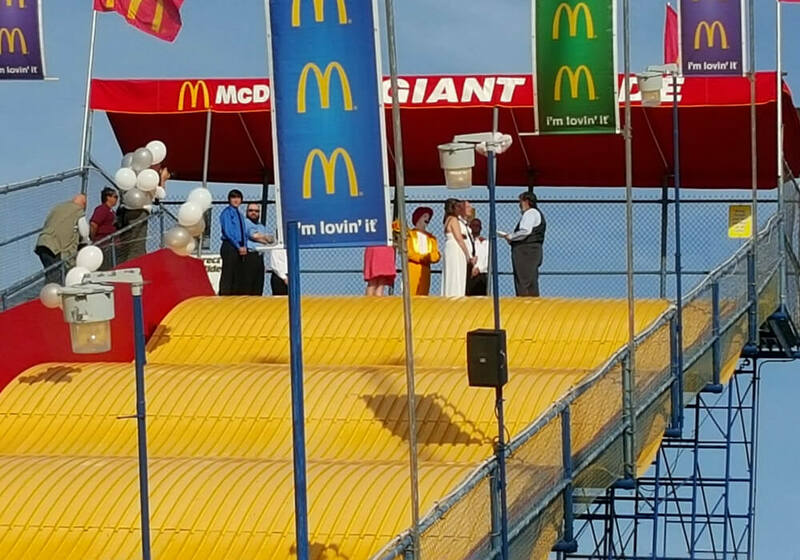 There’s a lot of pressure getting married in front of the patron saint, Ronald McDonald. Imagine setting up a lifetime of happiness in front of the man who literally invented the happy meal? Those are big shoes to fill (you know, because he’s a clown and all). Obviously, the best thing about this is the slide instead of the aisle. This wedding really has it all. Who Doesn’t Want A Goth GF Like This? 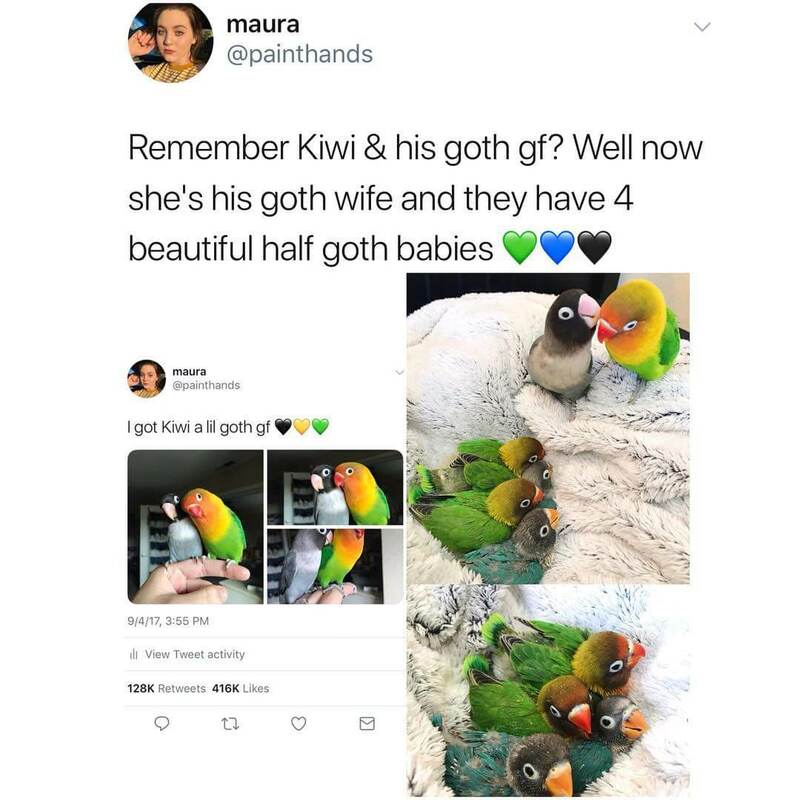 It seems like every neckbeard out there is asking for a goth girlfriend, but Kiwi out here actually got the love of his life. This is one of the most inspirational pictures I’ve ever seen. Now, they have a whole family under their wings. 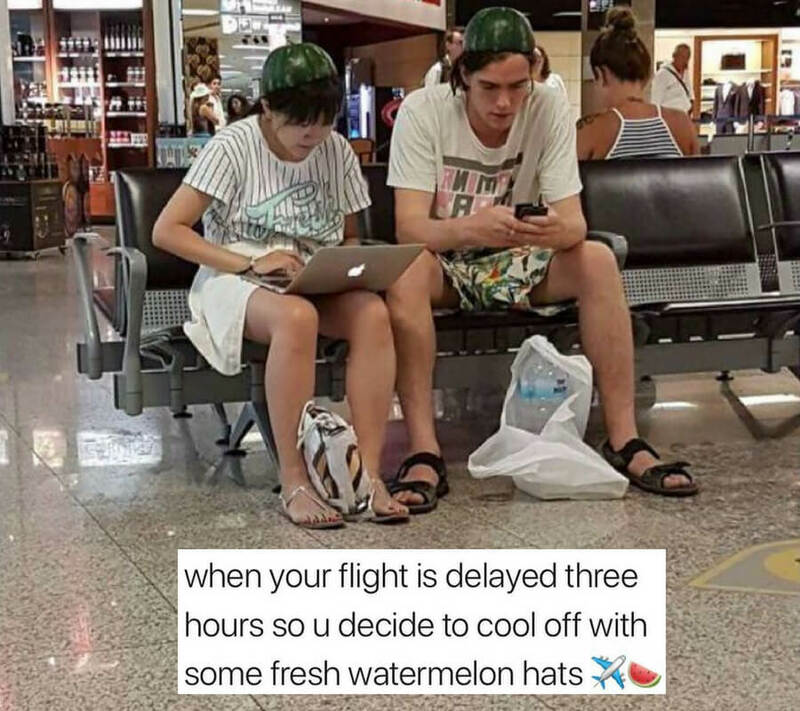 If this isn’t #couplesgoals, I don’t know what is. 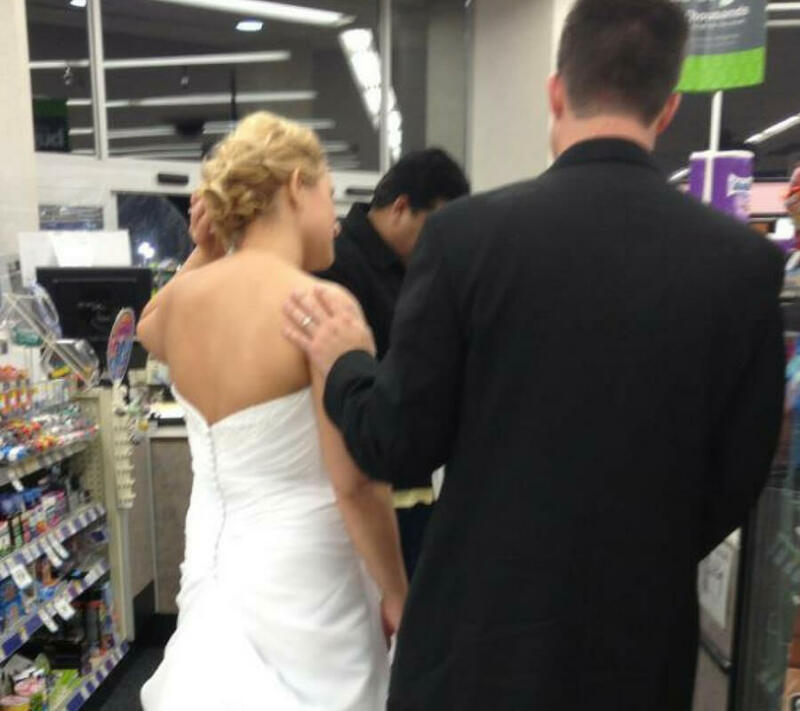 This couple made sure to hit up the supermarket to buy condoms on their special day, and I have to say, that’s very responsible. There’s no need for your child to be able to easily figure out why they were born exactly nine months after your wedding day. Apparently, the guy in front of them in line bought them a bottle of wine in celebration. It’s great to see the good people in this world doing good. 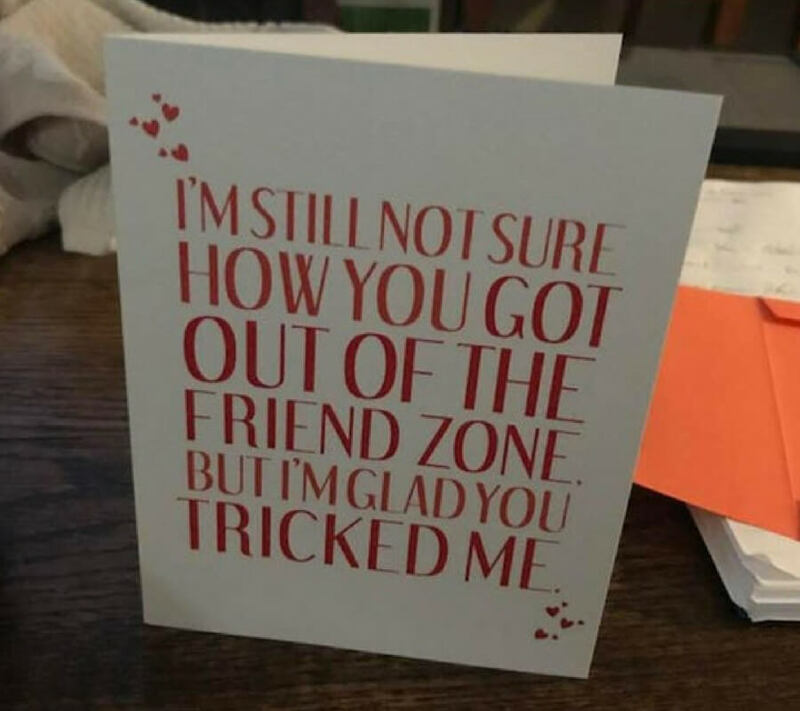 We’ve all heard of those couples that seemingly beat the odds, but this card really captures that moment beautifully. It rarely happens, but when it does, it pretty much means that the entire town has to come out and celebrate. What this really shows is that the greeting card business is truly ready to capitalize on anything in this world. We’ve all had that moment where we’re obviously third-wheeling, but this girl has absolutely no shame about it. She went on a couples vacation solo, and honestly, it’s a great strategy. You get to join in on all the group meals for a fraction of the price and can go off exploring without anyone following you around. It’s really a perfect vacation.